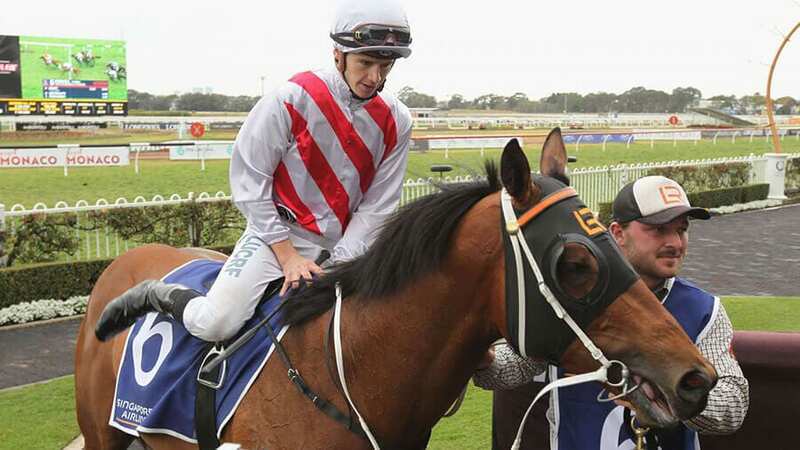 Form student, RIC CHAPMAN, details the hopes of every runner in the Group 1 Galaxy at Rosehill Saturday, with horse racing tips for the first four. Read on to see how he maps and assesses the race. Good luck, punters! Wonder sprinter, crowd favourite and looks back to his best. Has won $15,491,000 in prize money thus far and he has a great record this journey, winning 5 of 10 and placing another 3 times. Came hard at Ball Of Muscle last start when resuming and failed by a nose over 1000m. Big weight is an issue but is a star in the mud to balance that. Great chance. Brilliant sprinter. Won the Gr 2 The Shorts a few months back, over this journey, and when first up a fortnight back, led all way to hold out Redzel and Viridine in the Gr 2 Challenge over 1000m. Has won 5 of 11 this journey and placed another 3 times. Has terrific soft track form, but strangely, has never run well at this venue. Has claims. A terrific sprinter who looked in need of the run when plodding 5th in track record time to Trapeze Artist at Gr 1 level when resuming. Has never raced over this trip but his 1200m form is outstanding. Likes to get back and run on which is suited here as the speed will be enormous early. Has tremendous heavy track form and goes well 2nd up. Can win this. Knows only one way and that is to lead. If he finds the front without pressure, he wins easily. But he has a proven track record of folding if there is pressure mid-race and he will get pressure today. Ball Of Muscle and Redzel in particular along with Easy Eddie and Jungle Edge could take him on. So, looks tested. Superstar sprinter on his day and that day is enhanced whenever it rains. As this will be a heavy track – bingo, he’s in this up to his hocks. Led Ball Of Muscle which is no easy feat when resuming on a lightning-fast track last start only to weaken to last in the Challenge. With the dampness, he might just keep going now that he’s fitter. Big odds, but big chance. Every conceivable metric points to him. Is 3rd up, after two close up 4ths at Gr 1 level. Is unbeaten in 2 runs this trip. Has won twice from 4 and placed the other two at this track. Is unbeaten on a wet track, and has placed on a heavy. Has drawn perfectly and weighted very well. Was beaten just a length in the Gr 1 Newmarket last start after moving up to win with 150m to go. Big, big danger. He gets back and charges home. Did that last start at WFA when fast closing 4th to Ball Of Muscle in the 1000m Challenge. Extra 100m is a big help and the massive weight drop is also. Has won here too. Has a good record this trip. And has won in the wet. Respect all that. Ran a huge race when resuming making ground late and making it strongly when 3rd to Ball of Muscle and Redzel last start. The extra 100m is in his favour as is the massive weight drop. Has a great record this trip, winning 2 of 3 placing the other and boasts exactly same stat this track. Chance. Smart sprinter. Tough mare who has a terrific record this journey and has won twice this track. Made ground late when resuming and 3rd to Alassio last start at Gr 3 level but that mare got thrashed at Gr 1 grade last week. Will find this too hard. An outstanding young sprinter who also gets back and runs on. Did that in the Gr 1 Oakleigh Plate this trip when close 2nd, then weaved between runners and was doing best work late when close up 7th in the Gr 1 Newmarket. Has never won this journey and the grade is very strong. Place at best. Is in career-best form and is from same stable as Ball Of Muscle. Likes to lead normally, but last start sat back and came hard down centre of track to win the Gr 3 McCarten this journey on a Heavy 10 here. Those last couple of stats make him a chance and is very lightly weighted. Place show. Not started for a year but on that day, he won beating Osborne Bulls – and you’d be all over Osborne Bulls in this if he was in it. Still, has no heavy track form and has never won at this level or on this track. Prefer to see. Lightly raced and has talent but was beaten 4 lengths in track record time last start in a Listed race. Has won in fast time here this trip in weaker grade. But previous to that wasn’t able to win here at BM74 level! No chance.